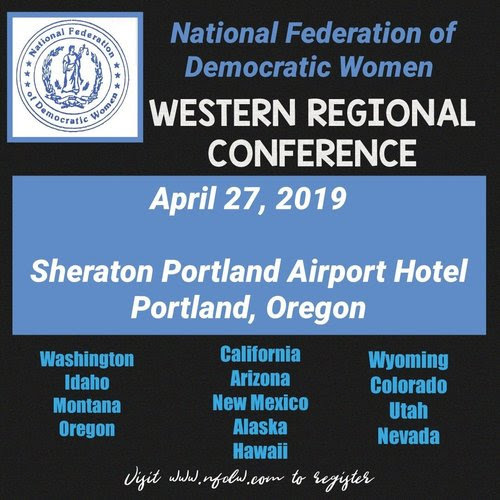 The NFDW Western Regional Conference and Meeting will be held on April 27, 2019 in Portland, Oregon. While the other 3 regions of the NFDW have had yearly events in their regions, I believe this is the first regional event in the west in 4+ years. This will be a great opportunity for democratic women in this part of the country to take part in workshops, informational sessions and collaborating with others to grow their state organizations in addition to preparing for the 2020 election cycle.